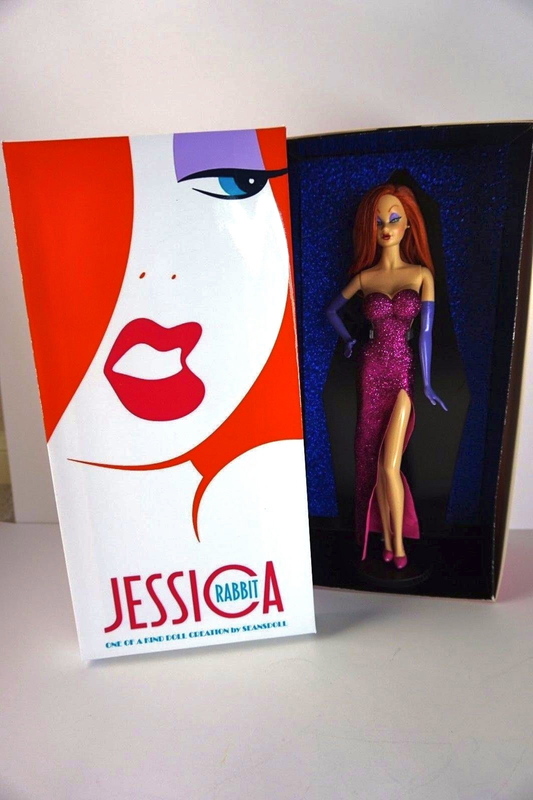 Jessica Rabbit is one of those few characters to suffer from an unfortunate lack of dolls. As for 2017 there have only been two released, one by Mattel in 1999 and the other by Tonner in 2010. Both dolls are excellent and have great stories attached to them that you can read in my Artist Interviews section. 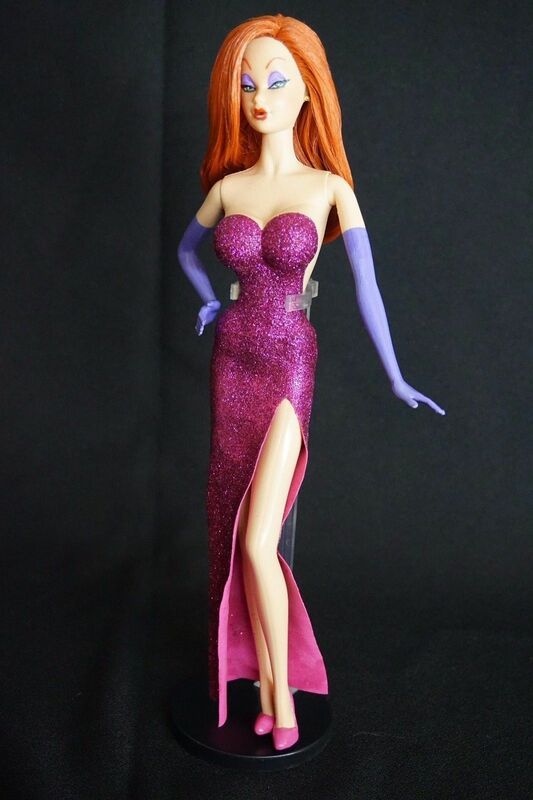 There have been many custom Jessica Rabbit dolls that have popped up over time and there are a few I need to catch up on posting to the site. 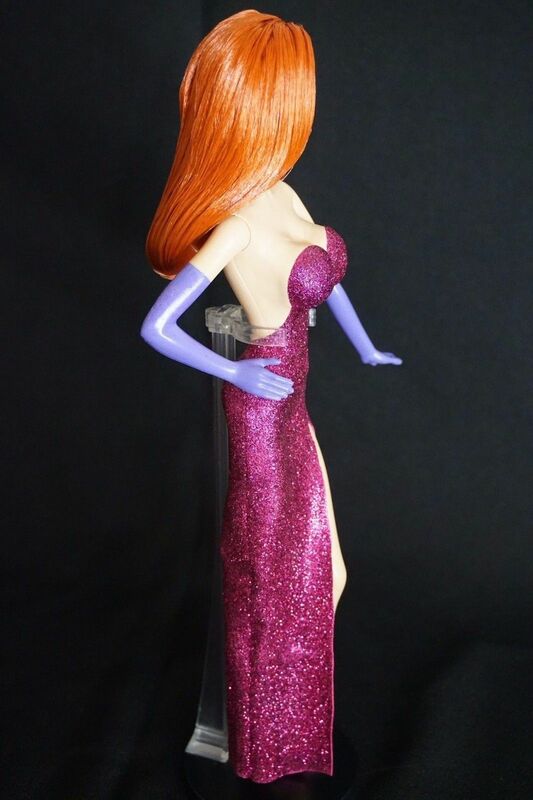 This current custom is by seansdoll and on eBay for a few days - click here for listing. This Jessica Rabbit custom will spoil you as not only does it have the correct body proportions but a special box as well. 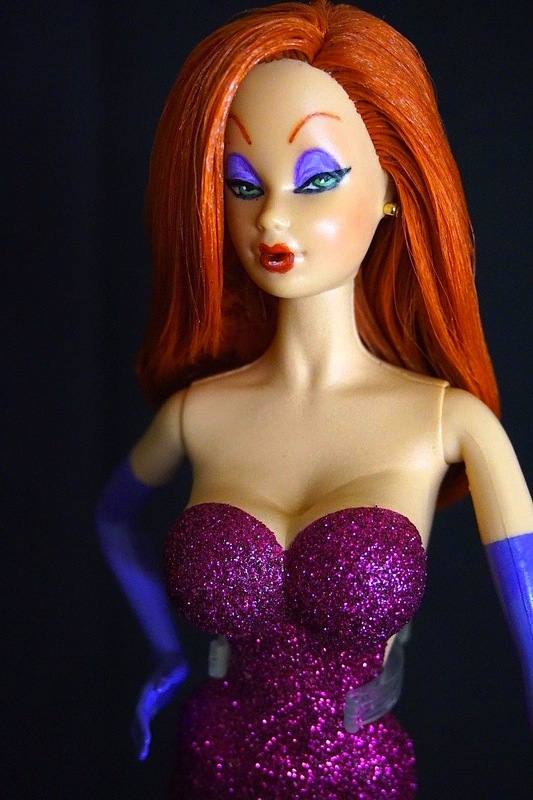 The base for this doll is a Model Muse Barbie. The face has been completely repainted. Her hair has been rerooted and sprayed to stay in place. 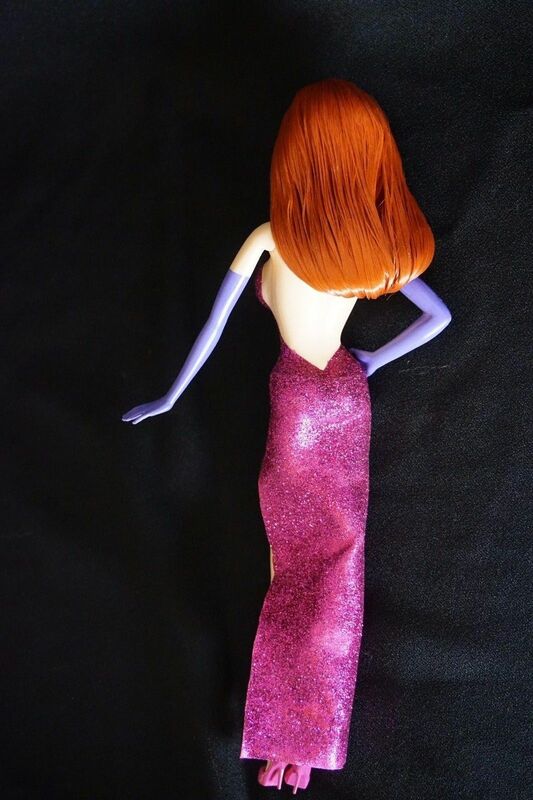 Her dress and shoes are hand made and are not removable. 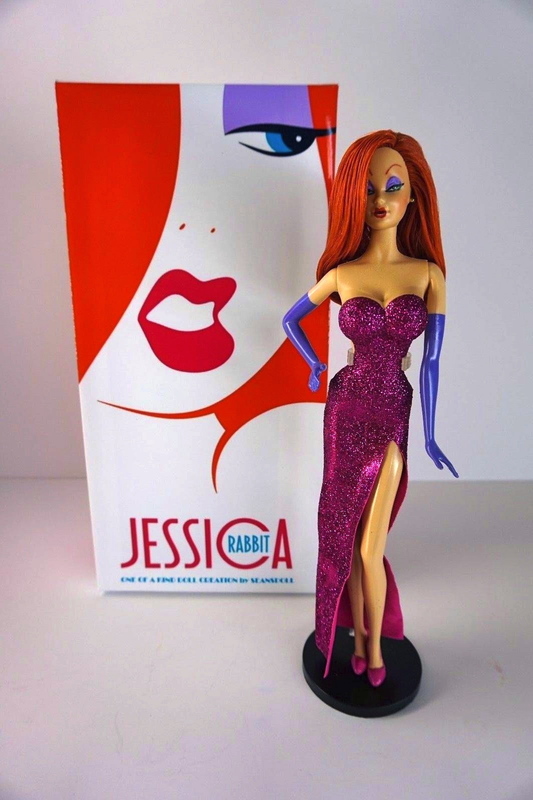 It comes with a customized box that, when opened, looks like Jessica parting the sparkly blue curtain from her nightclub performance.